Netflix is aiming to make everyone an anime fan, judging by some of the recently announced projects the streaming platform will offer subscribers in the future. 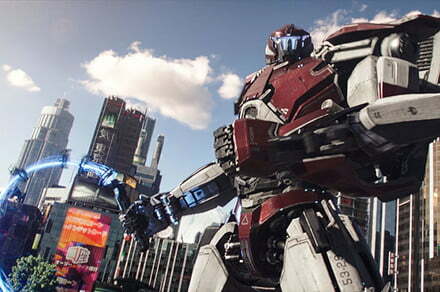 Revealed during a Netflix presentation in Singapore that also featured appearances by company CEO Reed Hastings, House of Cards actress Robin Wright, and Narcos actors Diego Luna and Michael Pena, the anime projects include series based on the Pacific Rim movies and Netflix’s own live-action Altered Carbon series. The announcements were made as part of an event highlighting the collaboration between Netflix and creators in Asia, with many of the series coming out of Asian studios or being scripted or otherwise developed by Asian creative teams. The Pacific Rim anime series will reportedly expand on the universe of Pacific Rim and its sequel, Pacific Rim Uprising, and follow a pair of siblings piloting an abandoned Jaeger — the massive robots used to fight giant monsters in the franchise — on a quest to find their parents. The series will have Thor: Ragnarok screenwriter and X-Men: Evolution series writer Greg Johnson serving as showrunner. Legendary Entertainment, the studio behind Kong: Skull Island, will produce the series. Also coming up is an anime series based on Altered Carbon, the dark sci-fi series that premiered on Netflix in February 2018. Set in the same universe as the live-action series, the Altered Carbon anime series will “explore new elements of the story mythology.” The series also brings in a creator from two of the most celebrated anime series of all time, Dai Sato of Cowboy Bebop and Samurai Champloo, who will pen the script along with Tsukasa Kondo. The other series announced at the event include Insect Cage, a series set in a post-apocalyptic world where a disease turns humans into giant insects, and Yasuke, which follows a retired samurai tasked with transporting a mysterious child through a war-torn world filled with giant mechs and magic. Sorry to Bother You star Lakeith Stanfield will voice the protagonist in the latter series. Finally, the series Trese will use Philippine folklore to explore a criminal underworld in which supernatural beings hold the power. Although Netflix didn’t give a specific premiere date for the anime series, they are all expected to become available to stream at some point in 2019.